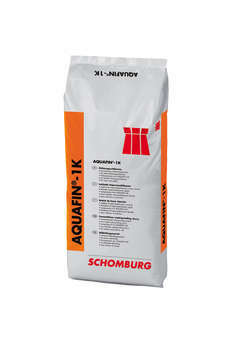 AQUAFIN ® -1K is a rigid waterproof slurry for the inside and the outside. It resists the sulfate and is suitable for all types of support in the construction. It is open to diffusion, resistant to ageing and UV. In addition, it is certified waterproof against negative water pressure up to 1,5 bar.